Welcome to Pi Day, one of the most nonsensical "food holidays" on the calendar. And perhaps one of the best. Pi, often represented by the Greek letter π, represents a mathematical constant, the ratio of the circumference of a circle to its diameter. The number goes on infinitely, but it's most often remembered by its first three digits 3.14, and that's why we celebrate Pi Day on March 14 (03/14). And then we make a whole other leap by tying the number to pie and eating a bunch of pizza and pie. Popular chains -- from Cici's to White Castle -- are even celebrating with special Pi Day deals. But who is going to complain about cheap pizza with extra dessert? Here are all the places offering free and cheap food deals in honor of Pi Day. Just don't ask anyone to explain Pi Day; they'll just go on forever. The deal: Order a medium one-topping pizza for just $3.14 with the purchase of any bread at regular price. The deal is only good on carryout orders with the code "19PI." 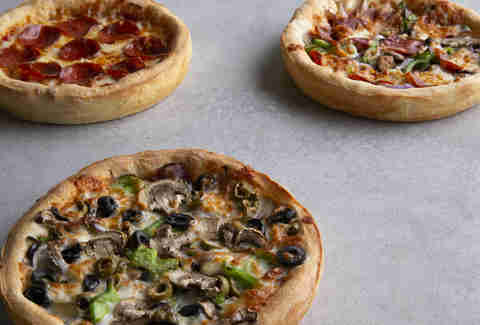 The deal: The build-your-own-pizza chain will be offering pizzas for just $3.14. There will also be games and prizes throughout the day at participating locations. The deal: Grab a personal pizza with as many toppings as you can handle for just $3.14. You can use the code "PIDAY" to redeem the offer via pick-up, dine-in, or delivery as long as the delivery isn't through GrubHub, Postmates, Uber Eats, or DoorDash. The deal: Order through the chain's app (as long as you download before Pi Day) and you can get a pizza for $3.14. 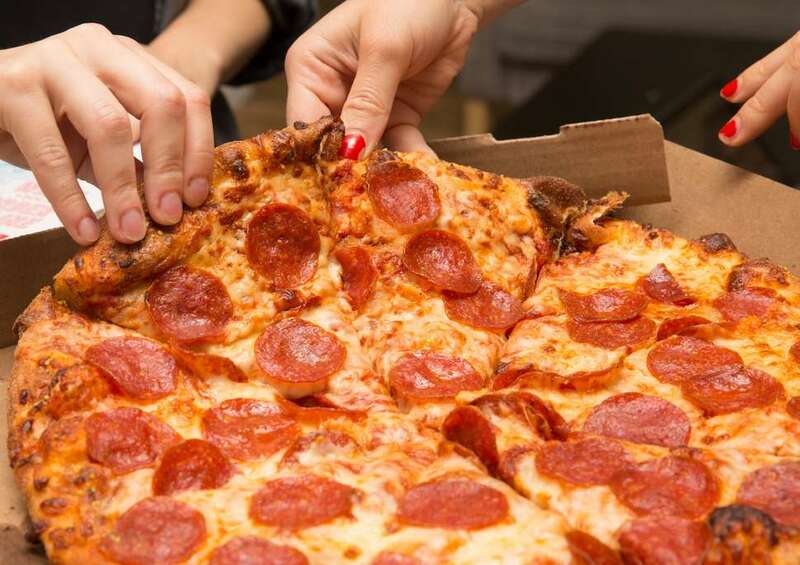 The deal: Take $3.14 off a large online pizza order with the code "PiDay19." The deal: The app that encourages you to buy from local pizza shops rather than chains has a special deal running on Pi Day. New users get $7 off their first order through the app with the code "LOCALPI7." The Minimum order must be at least $15.50. The deal: Dine-in at any Sauce location and get a cheese pizza for $3.14. Before you start day-dreaming about how many pizzas you can eat, know that there's a limit of one per guest. 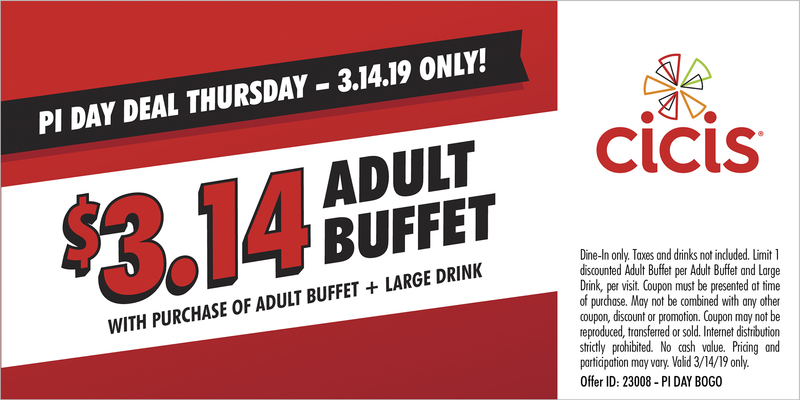 The deal: Stop in and get an adult buffet for just $3.14 with the purchase of another adult buffet and large drink. You'll need this coupon, though. The deal: Get any 11-inch signature pizza for $3.14. To get a pizza that cheap, you have to buy in-store, can't modify the pizza, and you can only order one. The deal: Buy any large pizza and you can get a large cheese or Bertucci pizza for $3.14 when you use the code "PIDAY." The deal: Take $5 off any Mountain-size pizza with the code "079984" or $3 off any large pizza with the code "317445." The deal: All day long, you can buy one thin-crust pizza and get another for $3.14. Plus, if you're a Pie Life Member, you'll get $2 in your account that can be used on your next visit. It's kind of like getting the second pizza for $1.14. Kind of. The deal: When you're dining in, you can grab a mini one-topping pizza for $3.14. Unfortunately, the deal won't be around for 3.14 days. It's only available for one day. The deal: After 2pm, the Arizona chain is offering personal pizzas for $3.14 with the purchase of a drink. The deal: For the third straight year, Villa is serving a full-size Neapolitan Cheese pizza for $3.14 at more than 200 locations. Just use this coupon and you'll be in the pizza. The deal: Order a large pizza at regular price and Jet's will set you up with a medium, one-topping, Hand Tossed Round pizza for $3.14 when you use the code "314." The deal: Order an XL pizza and get a personal-sized cheese, sausage or pepperoni pizza for $3.14 when you use the code "PDAY19." The deal: Okay, it's not pizza, but it is a meal. Grab a coupon through the chain's email list or social media and get a breakfast slider combo (with a hash brown and small coffee) for $3.14. The deal: It's not only Pi Day but National Potato Chip Day. Huzzah! To celebrate, order an entrée at Schlotzsky's and you'll get hooked up with all that and a free bag of chips. The deal: The Mexican-inspired restaurant is celebrating St. Patrick's Day on Pi Day for some reason. Even stranger is that they're celebrating St. Patrick's Day with a free order of chips and queso. But don't look a gift horse in the mouth. Say "Pot o' Gold" (you're allowed to laugh) when you order in-store and you'll get free chips and queso. Happy St. Patrick's Day on Pi Day. The deal: Grab three Sweet Potato Pies for $3.14 on Pi Day. No coupon required. Just show up hungry for potatoes. The deal: For some reason the shop doesn't recognize Pi Day, but it does have a Starbucks Happy Hour running today. From 3pm to close, you can pick up BOGO espresso drinks or Frappuccinos. The deal: This is also not pizza, but it is a good deal. Take $20 off an order of at least $100 from the home brew supply store. Just use the code "PIDAY." The deal: Stop into the Amazon grocery chain, and you'll get $3.14 off a whole large bakery pie while supplies last. The deal: First-time subscribers can get free dessert for a year from the meal subscription service in celebration of Pi Day. Use the code "PiDay" on or before March 14 and you can add dessert at no cost to each order for a year. The deal: Take $2 off any whole pie because it's Whole Day. Just kidding. It's Pi Day! You knew that by now, though, right? The deal: Get an eight-inch pumpkin, apple, or Dutch apple pie for $3.14. The deal: Take $3.14 off a Mexican Apple Pie order. The deal: Get an entrée and that slice of pie to end dinner is just $1.50. The deal: Get a slice of key lime pie for $3.14 because, you know, Pi Day. The deal isn't valid at stadiums or airports or if you're ordering through a delivery app. The deal: Order a chicken pot pie and get one to take home for free. You'll have to bake the second one on your own at a later date, but they're providing instruction. So, if you burn it, that's on you. The deal: The pie shop with eight Southern California locations has a few items pi-priced for the day. Key lime mini pies, Pie Hole bundles of four (apple, blueberry, Mexican chocolate, and strawberry lavender), and the Einstein Blue Lemonade are all just $3.14 today. The deal: The nut-free ice cream shop has an apple pie ice cream that's kind of perfect for Pi Day. If you order a scoop of it, you can get a mini cone with a flavor of your choosing for free. Just tell the staff that you're there for Pi Day. The deal: Executive pastry chef Vanarin Kuch is dishing up slices of pie for $3.14 at the art and science-inspired restaurant. The deal: From 11am to 5pm, get a big slice from Artichoke for $3.14. That includes the Artichoke and Crab slices. The deal: If you come by for lunch, you can grab a slice of butterscotch or passion fruit meringue pie for $3.14. The deal: The chain certainly exists outside of Dallas, but if you're in the area you might wind up with some free pie. Enter this contest for a chance to get hooked up. Three Dallas-based winners get a free nine-inch pie each month for the rest of a year. 14 winners in the Dallas area will get one free nine-inch pie. Eat up. The deal: Stop in for chocolate cream pie, coconut cream pie, or lemon meringue pie for -- [drumroll] -- $3.14. The deal: Memorize pi up to the 20th digit and they'll set you up with a free slice of pie. Pie for pi. 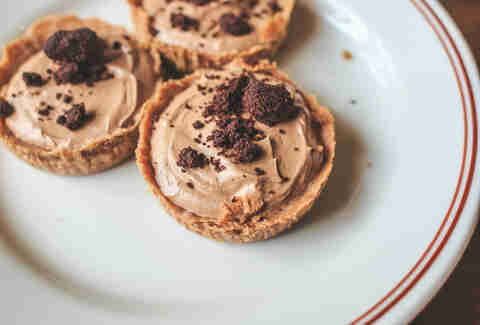 The deal: Indulge in a mini three-inch french silk pie for $3.14. The deal: This isn't food, but tutoring for students. Nonetheless, registering usually costs $200. Sign up on Pi Day and it'll be just $3.14 at all 35 Chicago-area locations. The deal: Dine-in after 3:14pm for a $5 cheese pizza. The deal: The first 50 people to stop by when the shop opens at 8am get a free hand pie and the first 30 will also get some merch. They'll also be slinging local craft beer for $3.14 all day. The deal: Order a large pizza with three toppings for $14. Math it up, kids! The deal: All hotel guests are getting "mini pie turndown service" for free, and it's coming from straight Pie Lady & Son. The deal: Take $3.14 off the popular Margherita pizza. Take advantage at the Midtown location from 5-9pm and the Krog Street Market location from 11:30am-3pm when you dine-in. The deal: For just a buck, you can get a chess pie from pastry chef Toni Roberts at theWit. The deal: Wendy's has brought back the Giant Junior Bacon Cheeseburger for a limited time, and you can get it as a combo meal -- with a four-piece chicken nuggets, small fries, and a drink -- for $5. The deal: The catch of the day is the return of the BojAngler fish sandwich. Participating locations are offering two fish sandwiches for $5. Though, a representative says that the pricing may vary some by location. The deal: Conrad's wants you to believe it's "the year of the tater tot." With how 2018 went, why not? It's as likely as anything else. To celebrate the best-ever year to be Napoleon Dynamite, they're giving out free Tot Wraps for an entire year to anyone named Conrad, Tate, or Tot. All you have to do is show your ID. Though, the generous offer is only available at the Wicker Park location. The deal: Not a food deal, but food adjacent. From 9pm to close on Sunday through Thursday, you can get half-priced games. The deal: Celebrating its tacos that have been around since the 50s, Jack in the Box is offering two tacos for $.99 when you buy via the restaurant's mobile app. In the app, click on "Menu" and the "App Exclusives," then enjoy some tacos. If you know of any Pi Day deals we missed, shoot us an email to news@thrillist.com and we'll add 'em here.